What’s the first thought that comes to your mind when you hear the word “vacation”? Of course, hill station! What else could be better than ‘Himalaya ki waadiyaan’!! Indians are spoiled by the choices of the hill station. Summer vacations are an ideal time for Indians to switch off from the hustle and bustle of their dreary life and relax in the lap of nature. So, if you are planning an escape from this scorching summer heat, then head to these hill stations. Nainital, also known as the lake district of India, is located in Uttarakhand. The place offers some picturesque scenes which will help you to relax. Besides, sights of the Governor’s house, Cave Garden and Nainital zoo are worth capturing. Boating in Lake Naini is a thing worth doing. Food lovers can walk down the Chandni Chowk lane in the Mall road. Shimla, also known as 'queens of hills', is a popular summer retreat destination. Its pleasant climate, snow-clad hills and lush greenery have attracted tourists for years. The main attractions of Shimla are Tara Devi temple, Jakhoo hills, Summer Hill, Shimla state museum, and Christ church. Sports lovers can show off their ice-skating or paragliding skills, or they can do trekking at Jakhu hills. The best time to visit Shimla is during summers from March to September because of the comfortable Shimla weather. Kasauli, located 70km from Shimla, offers picturesque hill hamlet enveloped by dense forest and misty clouds. If you are a trek lover and foodie, Kasauli is a must visit place for you! Some of the other attractions include Christ church, Nahri temple, Kasauli Brewery and a long walk on the Gilbert trail. But there are also hidden gems tucked away from the city to explore. April to November is the best time to visit here. A mecca for an adrenaline rush, Manali is situated in the laps of Himalayas. There’s no particular best time to visit Manali, you can visit there any time and you’ll surely fall in love with it! 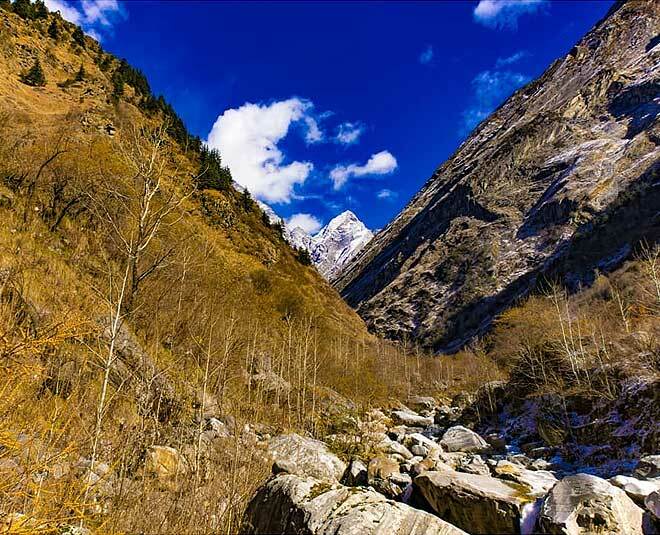 You can get a panoramic view of the Solang valley, the Lamadaugh meadows, and Hadimba temple. Foodies can walk down the mall road. Sports enthusiastic can head to Rohtang pass and Solang pass for paragliding. You can also practice rappelling, skiing, rock climbing, boating, and rafting. It is also one of the popular destinations for newlyweds honeymoon. Dharamshala- home to the largest Tibetan Buddhist monastery and spiritual leader, Dalai Lama. Delhiites often take a short trip to Dharamshala. With its roots deep in Buddhist, you’ll get peace of mind here. Instead of opting for hotels, I’d recommend you to camp under the stars. Dharamshala will be a great base for you to do your own thing, whether it's waking up to the panoramic scene or exploring the Tibetan culture. So, where are you heading? Let me know in the comments below and I’ll tell you some travel secrets! !